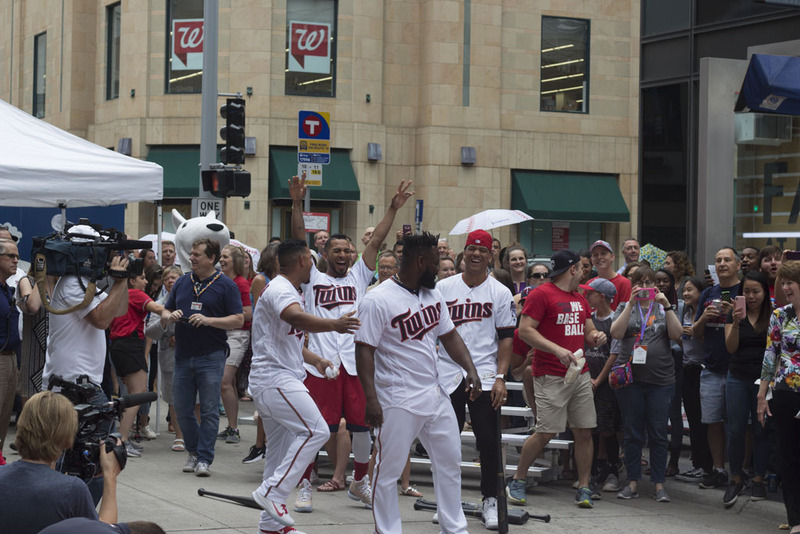 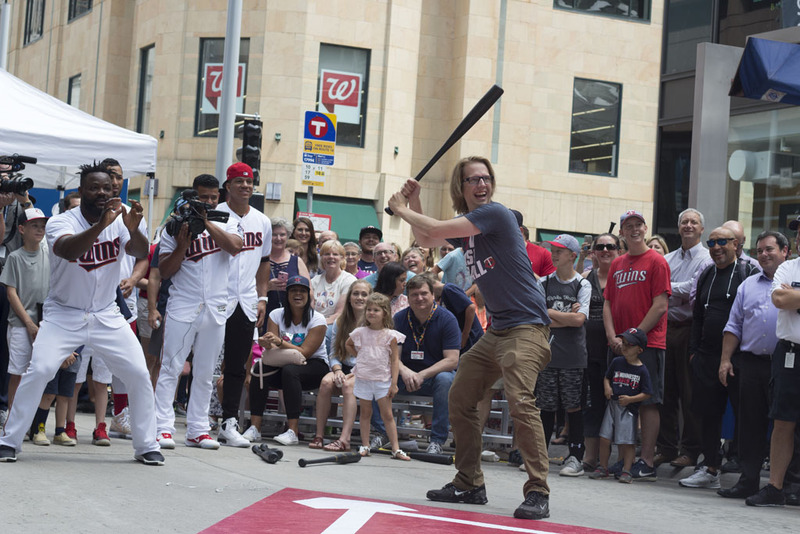 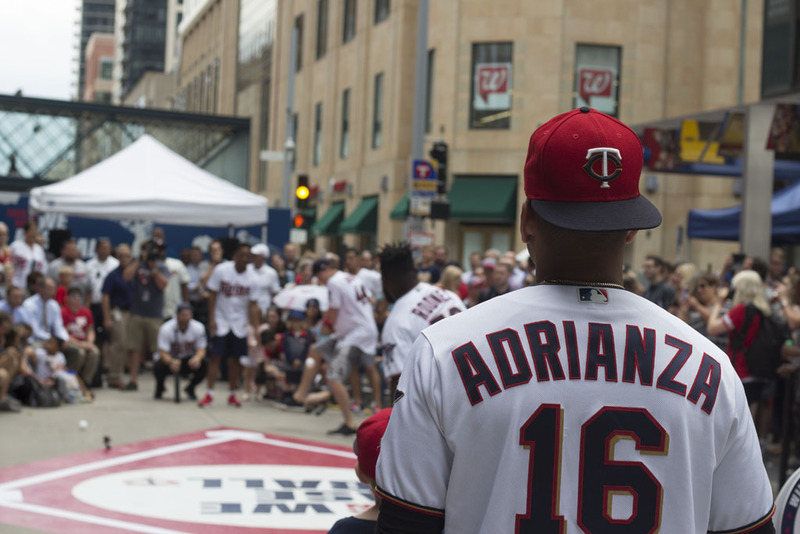 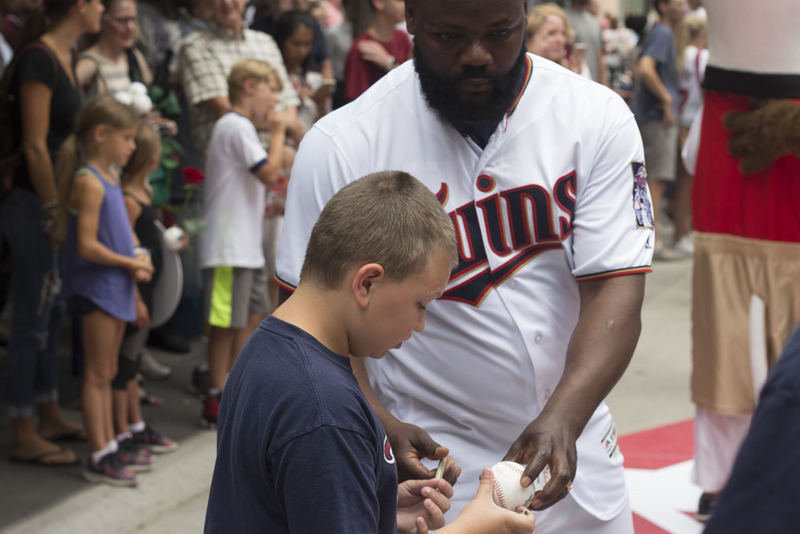 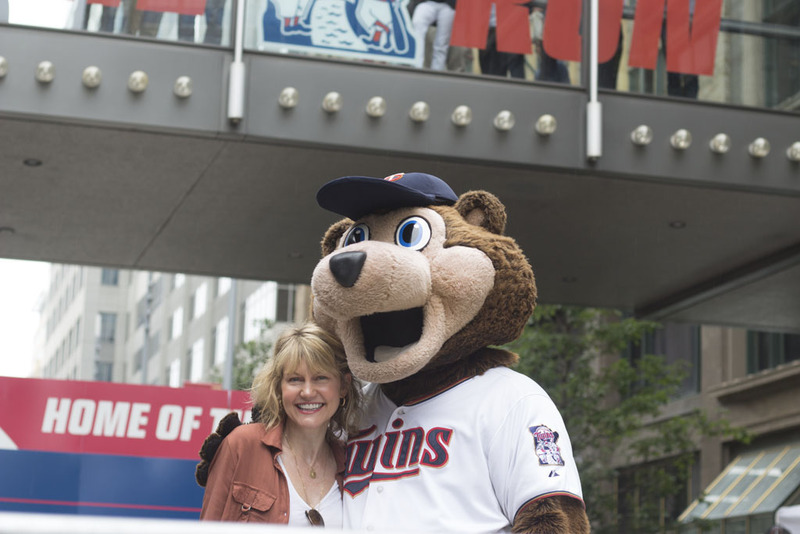 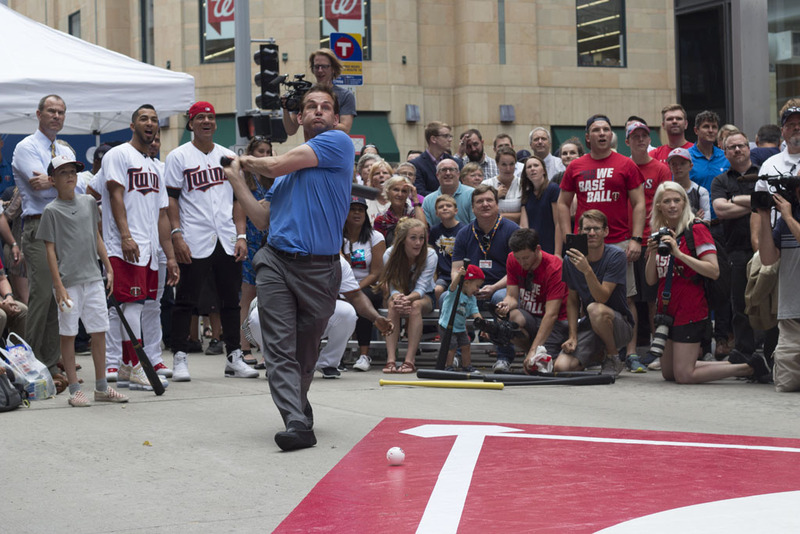 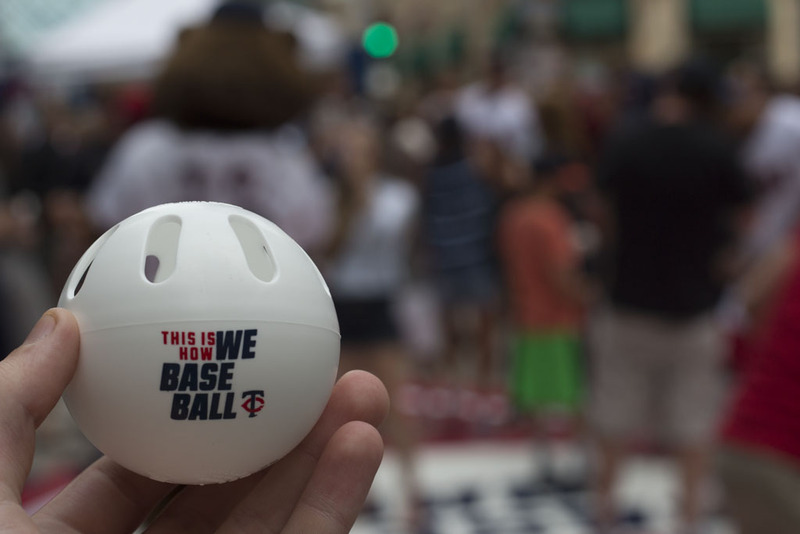 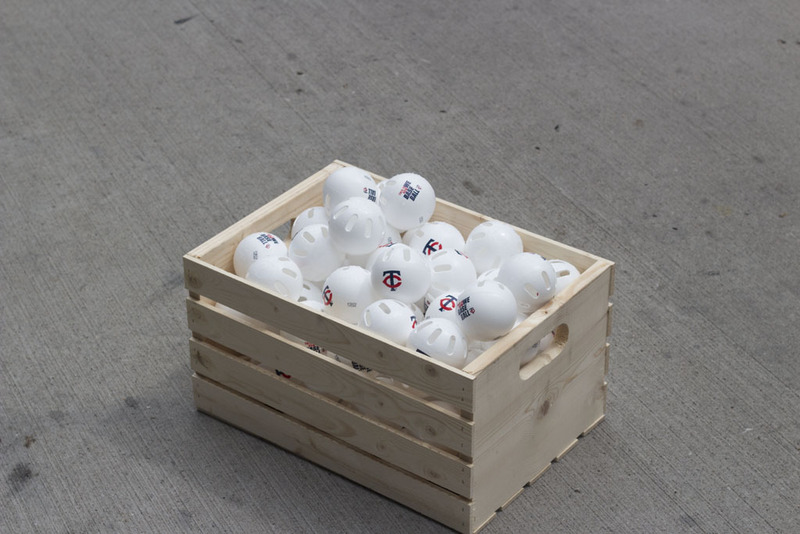 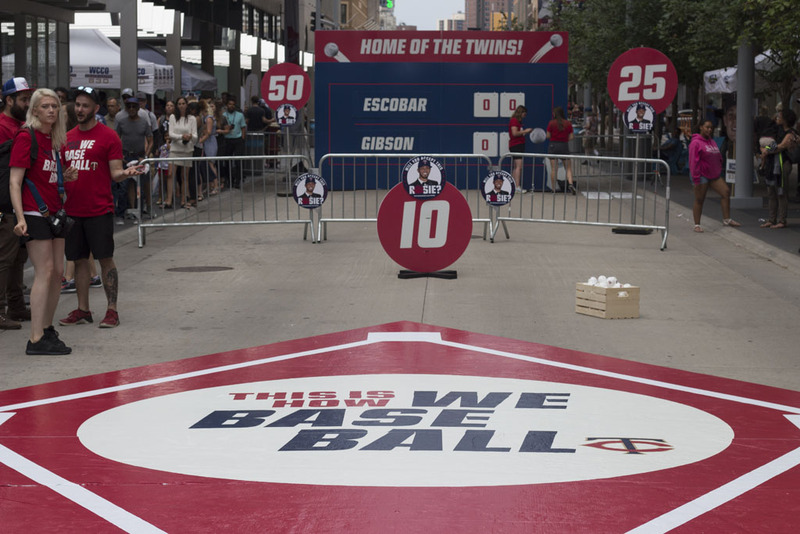 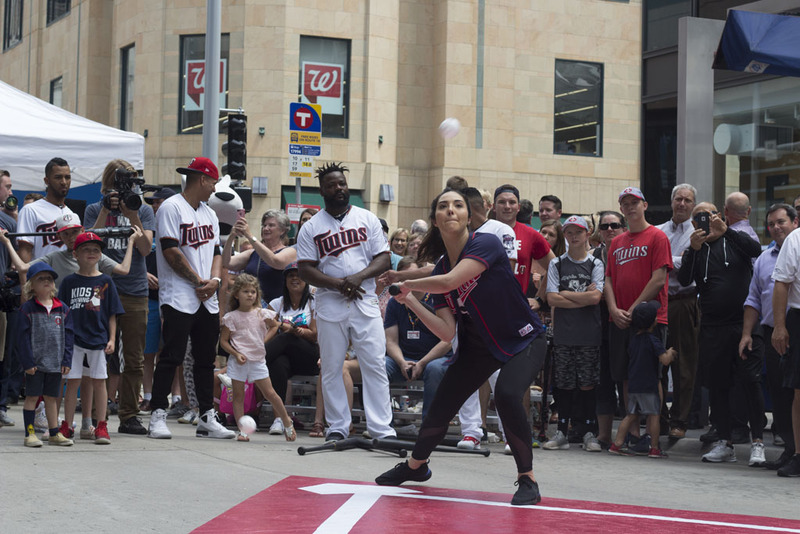 The Minnesota Twins hosted a very fun pop-up event called “Mall Ball” on Nicollet Mall today. 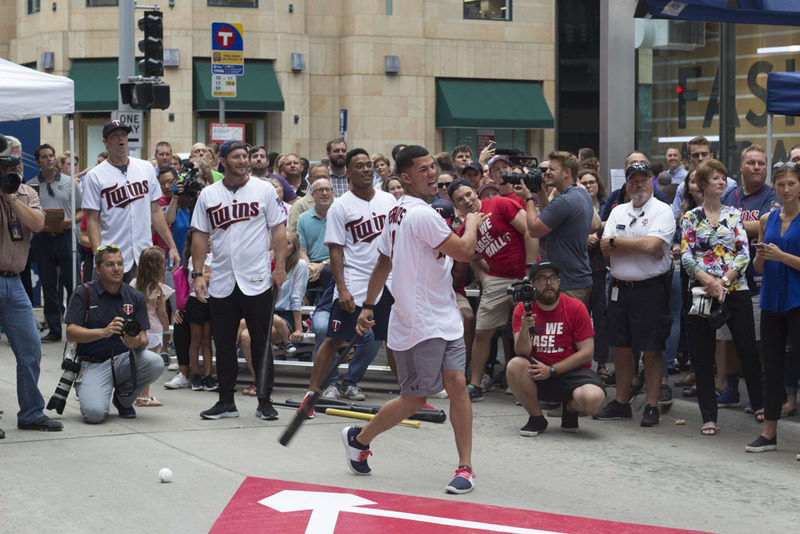 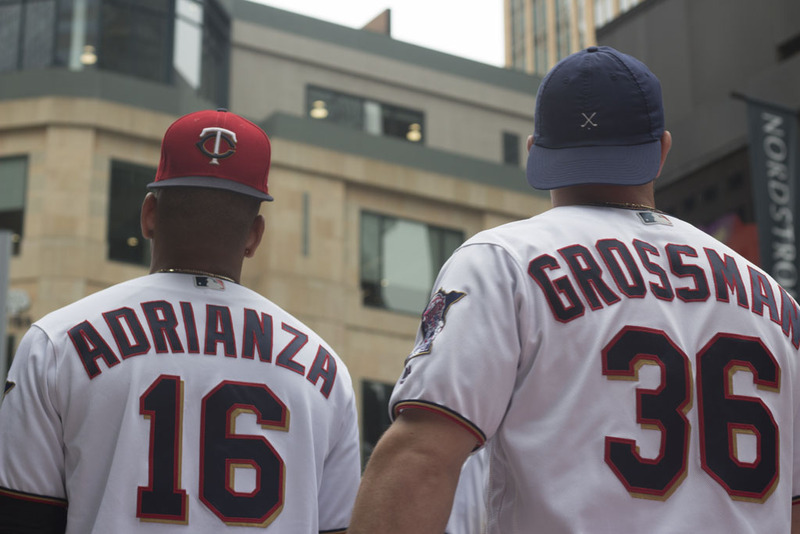 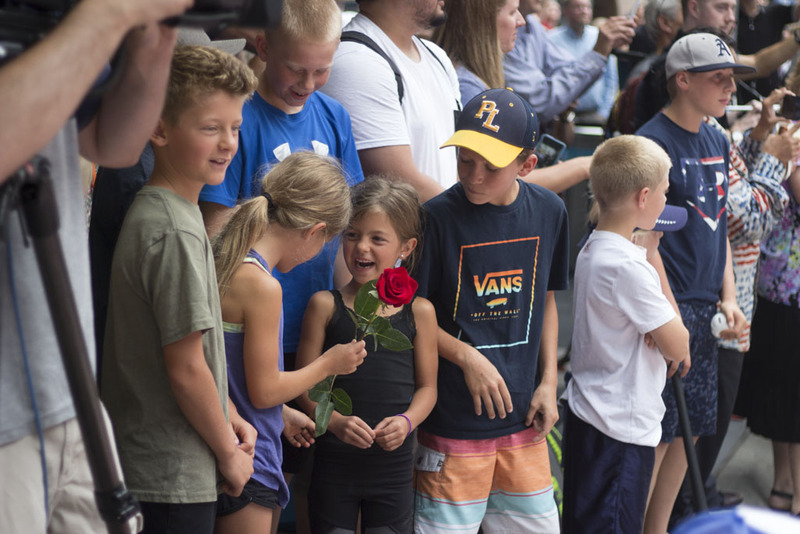 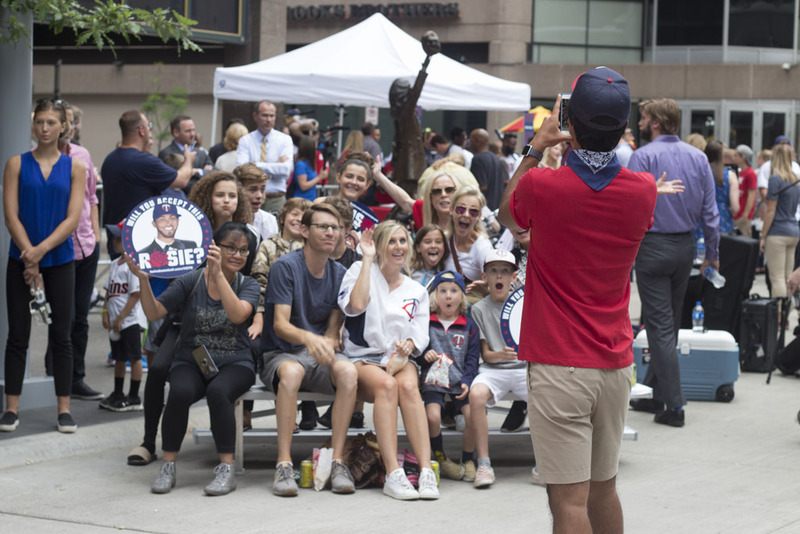 Hundreds of downtown employees, Twins fans, and visitors swarmed to get up-close and personal with some of their favorite Twins players. 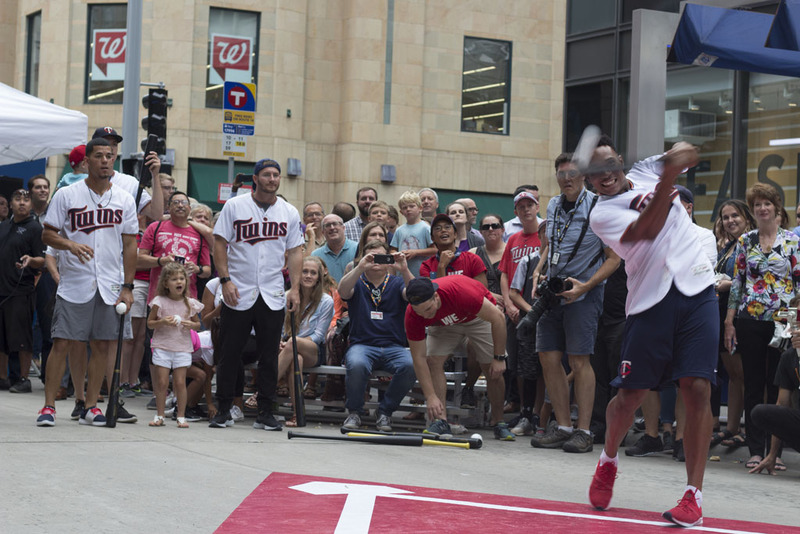 The event began with 8 twins players splitting up into 2 teams and facing off in an exciting home run derby between 7th and 8th Street. 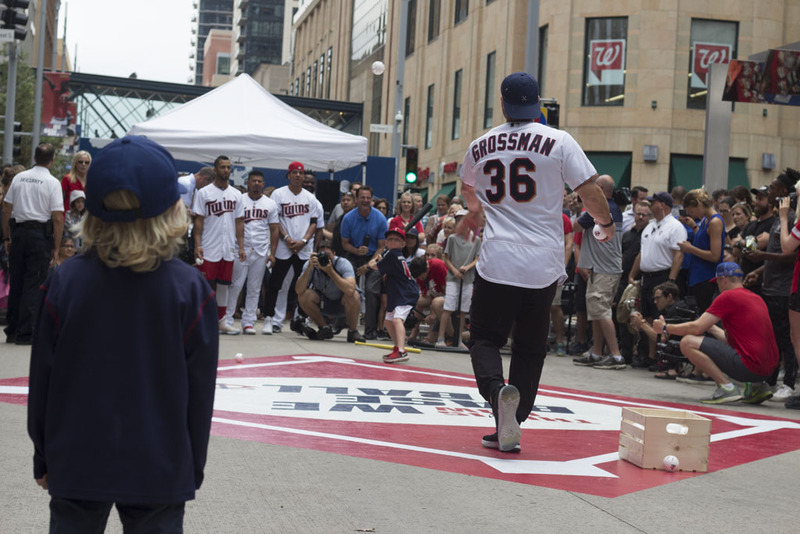 After a few rounds of the players competing, the Twins invited several kids and fans up to the plate to show their skills. 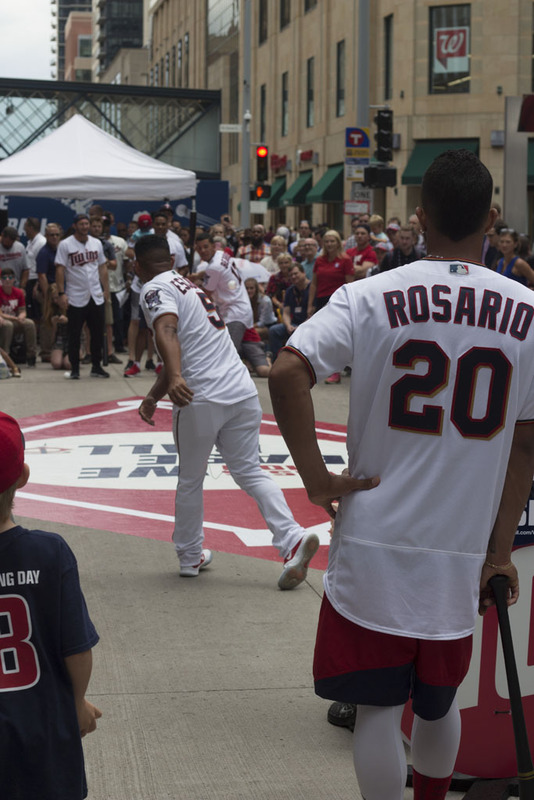 Check out the photo gallery above to see some pictures from the event!